Yeah, I get that it's satire. 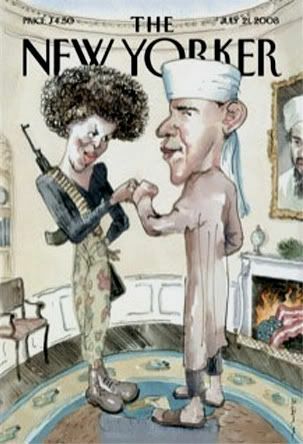 But, ya know, maybe it's, um, a little ahead of its time, given that approximately half the country would forward this picture to a relative with the note: "Even the New Yorker thinks they're black power terrorists!" without a trace of irony.